Restock Date is a feature you can use to make products available for purchase on a Channel while it is currently out of stock in your warehouse BUT you have an inbound shipment on the way. At the moment, this is only available for Amazon. For example, you are out of stock of SKU-A, but you have an inbound shipment with 5 units coming in one week from today. Zentail will let Amazon know that there is a restock date for this product of 5 units for one week from today. This way, shoppers can still purchase this product through Amazon's Marketplace with the understanding that it won't ship until at least one week from today (plus your lead time for fulfilling orders). You can put in place a general rule on Zentail that enables or disables this feature for your entire account. This way, if you never want to use this feature, just make sure you have it disabled on your Integrations page! Amazon accepts either available quantity or inbound or future quantity through their inventory feeds. Sending a future quantity with a restock date to Amazon makes this product available for purchase before you have it in stock. Amazon will display this to the shopper with a later expected delivery date than if you actually had it in stock. Make sure this feature is enabled on your Zentail, Amazon integrations page. Create an Inbound Shipment on Zentail. - Learn more about Inbound Shipments. If you have an open inbound shipment (it has not been marked as Received or Cancelled and it is not a Draft) then Zentail can send the quantity within the shipment and the expected receipt date to Amazon as the inbound or future quantity and restock date. Please note that Amazon accepts on available quantity OR restock date. So if your product has 2 units in stock with 100 units inbound, the feed to Amazon will only include the 2 units in stock. Once that sells out, a new feed will be sent with 100 units on a specific restock date. 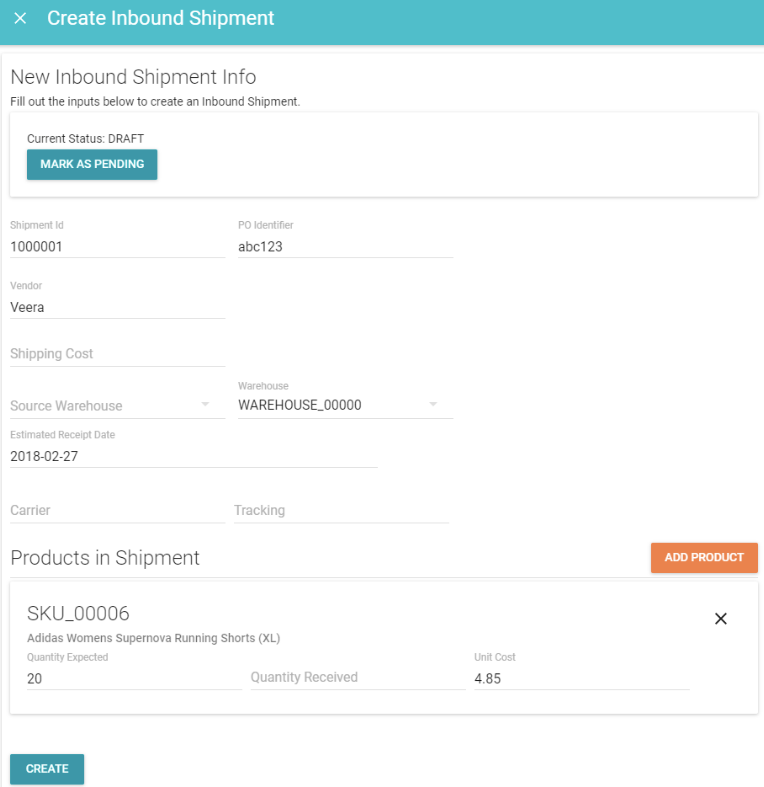 Inbound shipments can be put into a Draft status on Zentail. If an inbound shipment is a draft, Zentail will not send the restock date to Amazon based on this inbound shipment. This means, you can make sure that the products are only available for purchase once they have been received and are available within Zentail.